Celebrities and alcohol, sometimes go hand in hand. It's true—drinking can be fun. But when it gets out off hand it's deadly. And I'm not kidding. Alcoholism can be likened to a plague—rampant, catchy, and extremely self. destructive. And it always begins the same way—with one drink. As Harmless as that sounds, it's pretty easy to get carried away after that first swig or sip. Over the years we have been saddened many times by the news of our favorite celebrities who suffer from alcoholism. Unfortunately we have watched several of them ruin their careers and personal lives before our very eyes. All because of their love for the fiery liquid. Huge Stars like Hollywood actor Richard Burton, and silver screen heartthrob Errol Flynn, all but ruined their looks and health by drinking way too much and not being able to stop. Some years ago one of the world's most famous(and beloved) celebrity alcoholics, George Best succumbed finally to years of abusing his once super fit body with drinking. The former Manchester United footballer and European footballer of the Year died after falling into a coma. He was 56 years old at the time of his death. Many celebs with the same problem actually never let anyone know about it. But here are 5 famous stars you'll be shocked to know are alcoholics—or recovered ones. Some names on this list will blow your mind away, while others may not be such a surprise. Sadly some of them didn't end up well. But Thankfully some fought back and succeeded in kicking the habit that has landed so many of their compatriots in the grave. 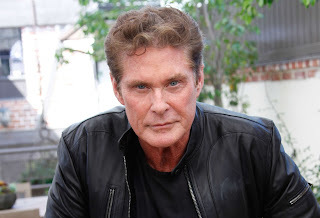 Actor, singer and television personality David Hasselhoff has had one of the more embarrassing addiction journeys of most celebrities. Back in 2007, gossip colums and news programs had a field day with the Baywatch star, after one of his shocking drunken videos surfaced online. But these days, the star is squarely facing his demons after the video caused the courts to temporarily suspend his visitation rights to his daughters. In 2010 a court ordered the former child star to wear an alcohol monitoring bracelet to monitor her addiction. Such was the extent of her binging. It didn't help. A relapse during her flopped reality show in 2014, revealed how tough it is to kick the habit. Her career has been adversely affected of course, with hardly any movie roles coming Her way these days. Her current Networth of $500,000 shows just how bad a toll her drinking has taken on her earning capability and her career. 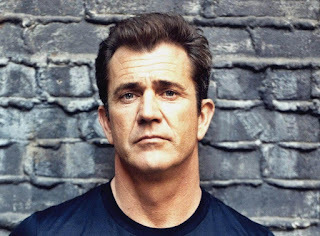 Veteran Hollywood actor Mel Gibson, is certainly one of the most popular and successful actors and filmmakers in the world. But he admitted he has battled alcoholism for all of his adult life. His two Highly publicized driving under the influence arrests in 2006 and 2009, brought this ugly problem to the public's attention. Currently, it appears he hasn't yet kicked the habit that has almost ruined his once stunning looks. He is one of the highest selling writers in history. Infact over the years King has amassed a near cult status due to his consistent excellence in the horror genre. But this master of horror had some pretty scary moments in his personal life. For many years the literary genius was plagued by drug and alcohol addiction. But he was fortunate that his family staged an intervention that helped him turn the tide. 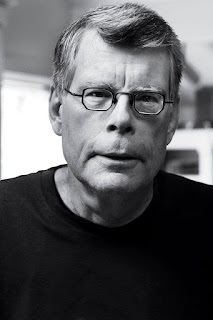 In the late 80s Stephen King sought help for his addiction, and quit alcohol and drugs. The popular star of the mega hit Movie Franchise 'Harry Potter' has had an incredible acting career. 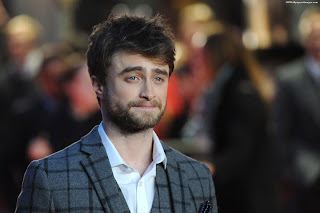 Even as a child actor, Radcliffe already had the kind of fame that surpassed that of many adult A list stars. But like alot of child actors in Hollywood, he fell into self destructive habits that almost ruined his promising career. In his own words he used to drink so much, he even started drinking before going onset. He only changed his ways after he realized that alcohol was truly and irreversibly destroying him. If we attempted to list every known star that has a drinking problem here, this list may have a close resemblance to the yellow pages. Of course there are many more alcohol troubled celebrities, but we've narrowed it to just this five stars, to show you some of the surprise celeb additions here.